For those of you planning on attending the Square Foot Gardening class, it has been postponed due to this crazy weather we are experiencing in DFW area. 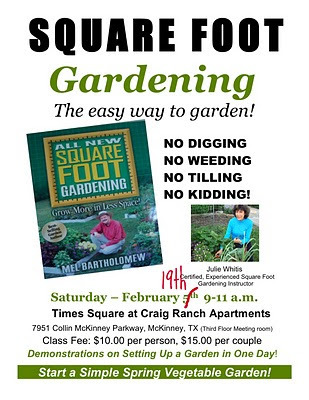 This class is going to be rescheduled for February 19, 2011 9-11am at Times Square at Craig Ranch Apartments. 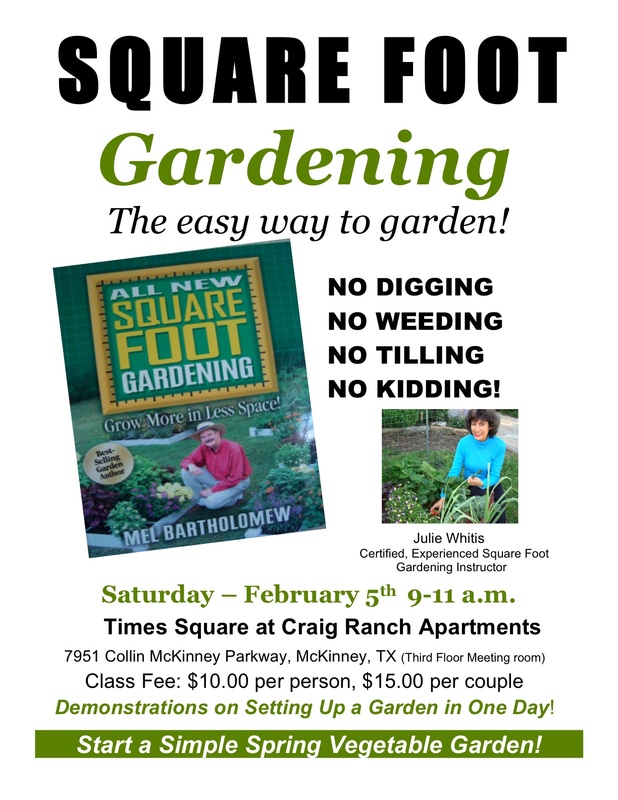 If you were signed up for this class already, please RE-confirm your attendance by emailing sharon@ dfwfoodstorage.com OR if you like to attend and have not already signed up PLEASE email sharon@ dfwfoodstorage.com too.